This week Fred sits down with Ali of 42 Level One to discuss the more popular 32-bit generation of CD-ROM consoles. What started as a disaster with the 3DO Interactive Player gave way to the big releases of the Sega Saturn and the Sony Playstation. While the Saturn may seem dead in the water for the West, it was a strong presence in the East. Finally everything wraps up with the beloved console that lacked sales: the Sega Dreamcast. We all love our retro consoles, but in many cases the consoles we are buying are because they are cheap enough or we have enough money to purchase what we never were able to in our youth. Unfortunately the business of making used retro items available to the masses can at times be a money grubbing market where consumers are deceived by people they will never meet in real life. As an individual who has spent the last decade scouring the local area, conventions, eBay, and the internet as a whole I have learned many valuable lessons. For that reason I present my buying guide series, which is a handy quick guide to knowing what to purchase and what will cost an arm and a leg to replace. Born on October 4, 1993, the 3DO game system was reponsible for a lot of firsts. One of the first CD-ROM consoles, the first 32-bit console, and the first console that relied solely on 3rd party manufacturing. For all it gets harped on, the 3DO still houses a strong library that borrows from both consoles and PCs as well as paving the way for original titles. Shawn Freeman from Knuckleballer Radio joins us to discuss the glory that was the 3DO. By the time the SNES was dominating and the Sega Genesis was locked in an endless sea of add-ons to save the dying console, electronics manufacturers began to step up and create many of their own consoles. As a result, the market was flooded with overpriced horrendous hardware. They seemed to have everything a gamer wanted: new media format (the cheaply priced cd was preferred by developers to reduce production cost and retail price), impressive graphics and processors, and lets not forget the large numbers like “32” and “64” prominantly displayed on the startup screens. Unfortunately they lacked one important thing: good games. Still, that didn’t prevent many manufacturers from creating a loose version of the video game crash of 1983. Thankfully one lone electronics company entered the foray with the next step in gaming – that company was Sony. I’m guessing somewhere around the Sega CD, boasting the ability to play your new audio CDs through your television as an added feature, electronic companies started to take notice of gaming systems. As you guide through the progression of consoles the consumer electronics market grows stronger with gamers – let’s face it, they’re the perfect early adoptors. Quickly companies scrambled to enter the gaming market including JVC, Phillips, Panasonic, Pioneer, Sony and even more. Some of these companies licensed existing hardware, like JVC did with the X’Eye, a Sega Genesis/Sega CD hybrid that was re-branded with JVC’s logo. 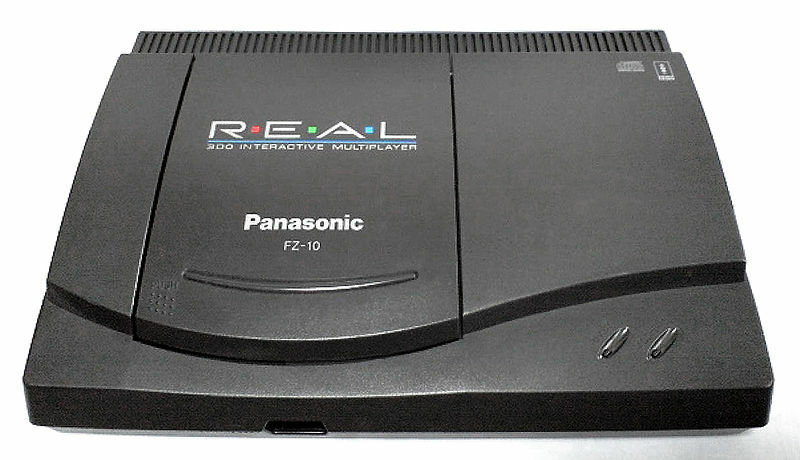 On the other hand, Phillips, Panasonic and Pioneer – imagine keeping these companies straight as a consumer – released their own hardware with a (arguably) library of games. In the end, they all sucked and had ridiculous price tags pushing back the concept of consumer electronics meeting gaming for at least another six years. Below are the early disc-based consoles that failed so horribly.